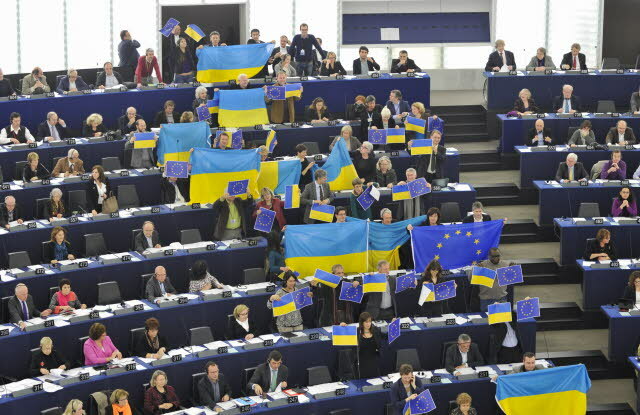 On Thursday, 6 February, the European Parliament adopted resolution on situation in Ukraine. The resolution condemns violence against “peaceful citizens, journalists, students, civil society activists, opposition politicians and clergy” in Ukraine. In this regard, it calls on EU institutions and member states “to take immediate action, including increased diplomatic pressure and the introduction of personalised targeted measures (travel ban and asset and property freezes) with regard to all those Ukrainian officials and legislators and their business sponsors (oligarchs) who are responsible for the crackdowns on and deaths of protestors. The resolution also recalls EU’s readiness to sign an Association Agreement, including deep and comprehensive free trade area deal, with Ukraine as soon as the political crisis is overcome and the relevant requirements are met as defined by the Foreign Affairs Council of 10 December 2012 and supported by Parliament’s resolution of 13 December 2012.